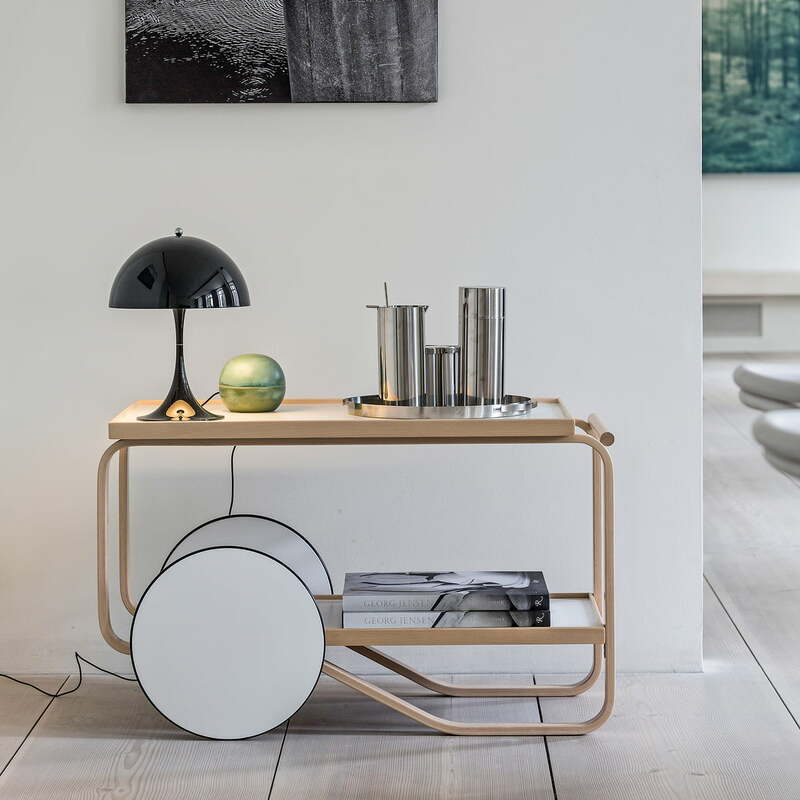 The 901 serving trolley is a design by the Finnish designer Alvar Aalto, who, together with his wife Aino Aalto, was inspired by British tea culture. The cart is equipped with two wheels and a frame made of curved plywood, which was manufactured according to the bow method. As early as the 1920s, Aalto experimented with wood as a material, tried to bring it into a curved form and finally found a method for bending thin, glued layers of wood under the influence of heat. 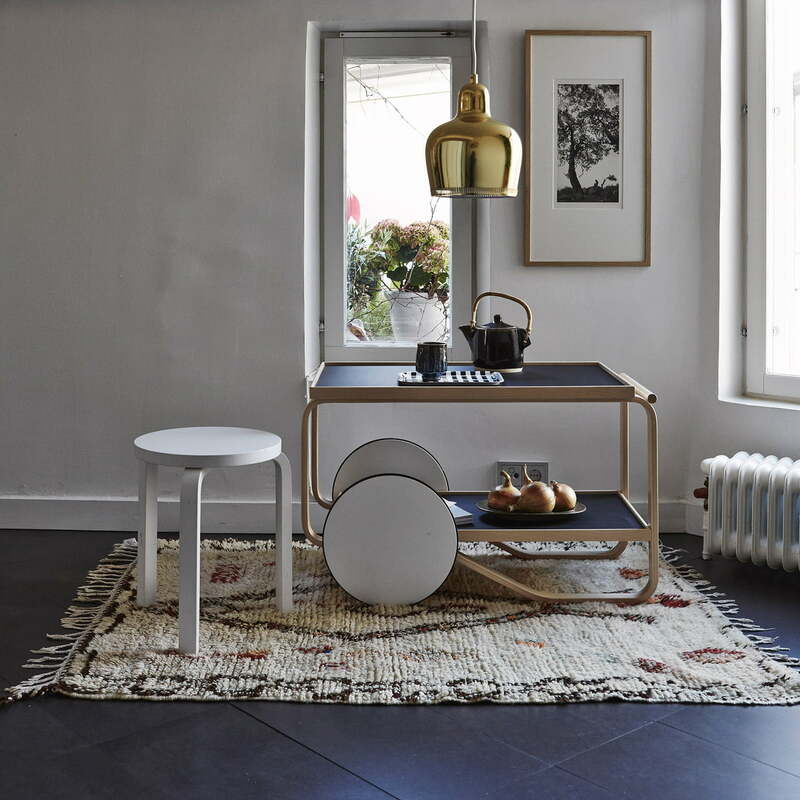 The patented frame of the trolley presented in 1936 at the Triennale in Milan can be found in reverse form similar to the world-famous Paimio chair 41 by Alvar Aalto. His predilection for curved, organic forms runs like a red thread through his products and gives them his unmistakable signature. The serving trolley 901 can be used as a classic tea trolley, but can also be used as a side table decorated with a lamp, books or a bouquet of flowers. 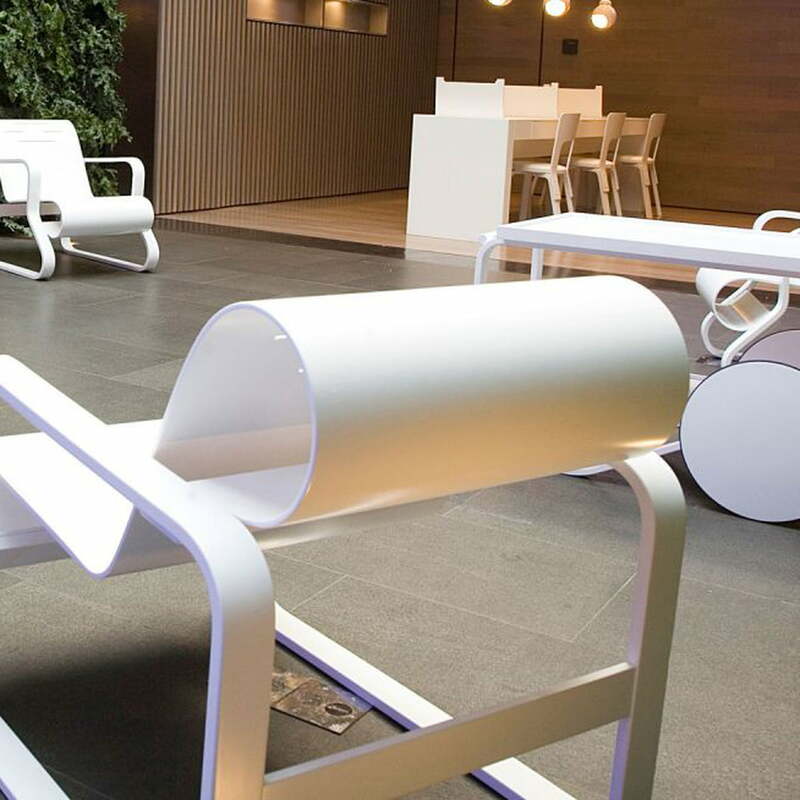 All kinds of objects can be arranged as desired on two floors on the linoleum panels. 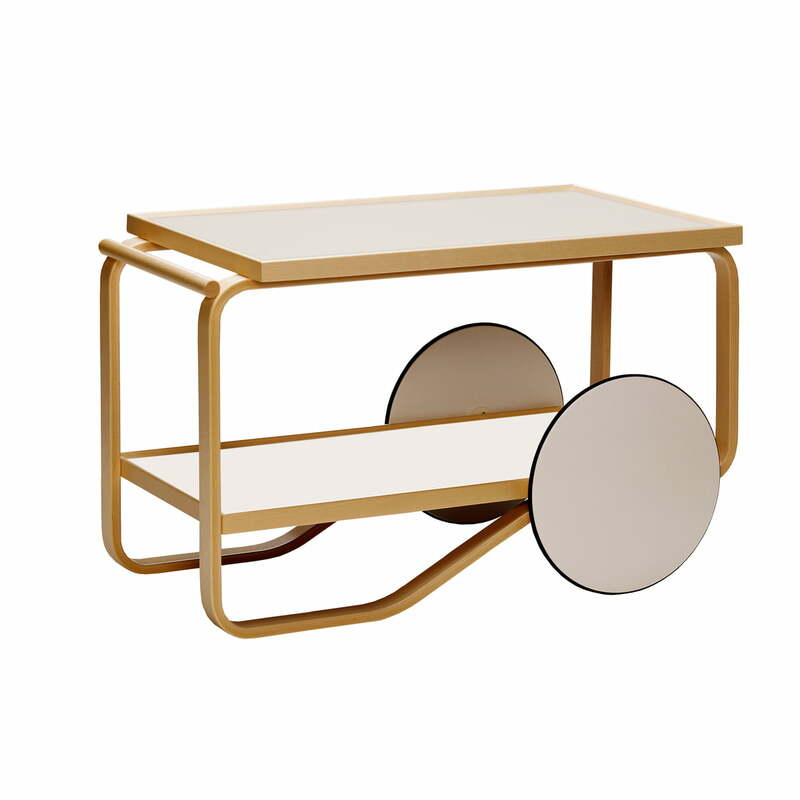 Hella Jongerius' reinterpretation of the 901 serving trolley is a collaboration between the designer and Artek, in which they jointly revise Alvar Aalto's classics and archived designs. 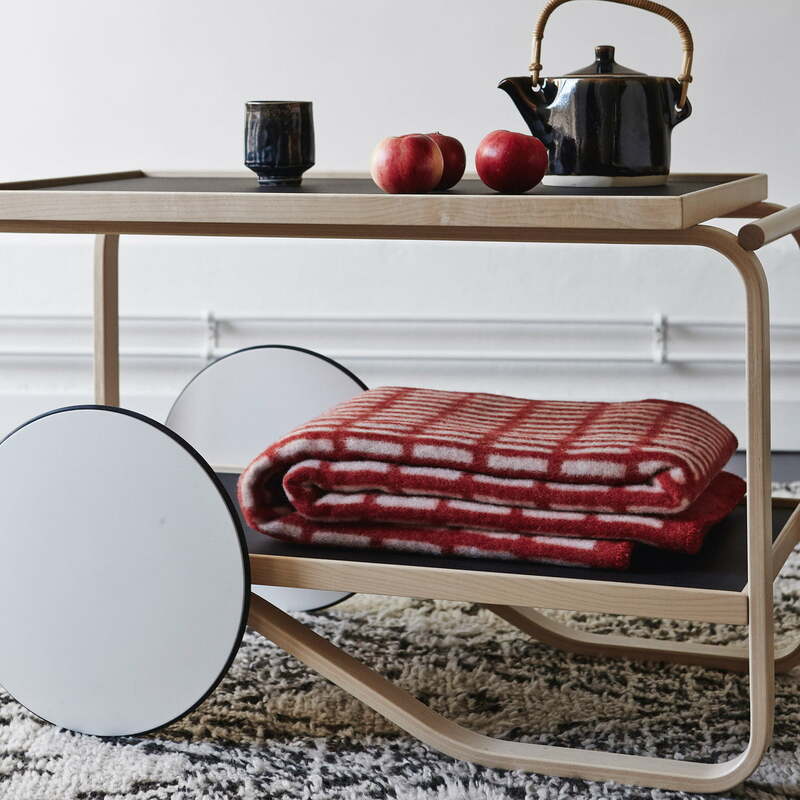 Hella Jongerius' new interpretation of the tea trolley 901 is the product of a collaboration between the design with Artek. Together they worked on the revival of Alvar Aalto's classics and other archived designs. 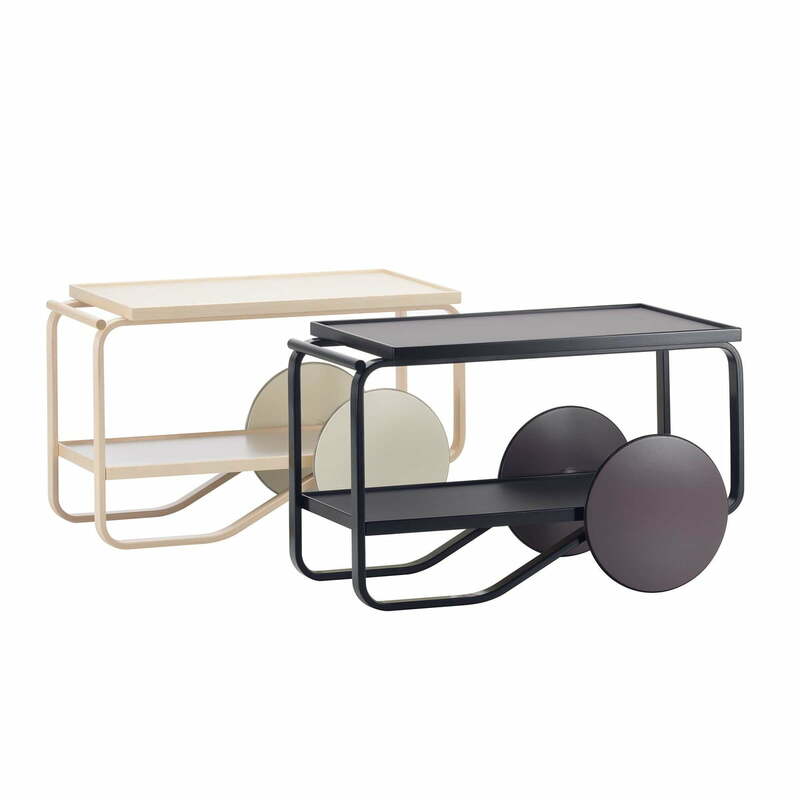 Single image of the 901 trolley by Artek. The Finnish designer AlvarAalto designed the streamlined Tea Trolley 901 in 1936, and it debuted at the Milan Triennale as part of the modern Finnish interior. 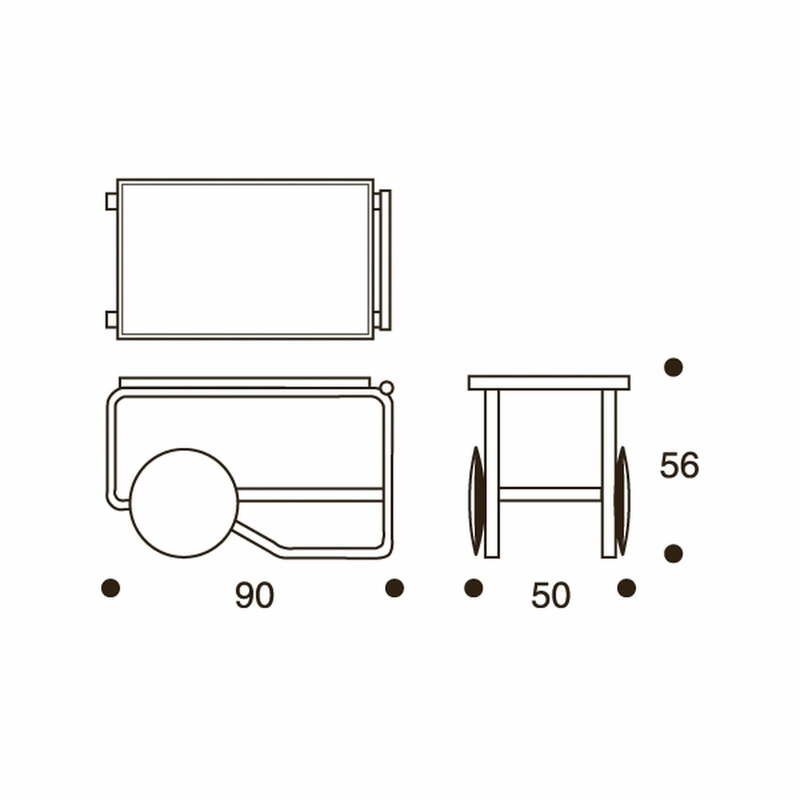 During his numerous travels, Alvar Aalto got to know the English tea tradition as well as the Japanese art of woodworks, both serving as source of inspiration of the Tea Trolley. In the course of the years, several variations of the Tea Trolley with functional features such as baskets and shelves have been created. The Tea Trolley is also available in various sizes and colours and with numerous surface materials from wood, to linoleum and tiles. The trolley with the practical linoleum boards – a Scandinavian speciality – also takes place in the Alvar Aalto Museum in Jyväskylä, intended for regular expositions. 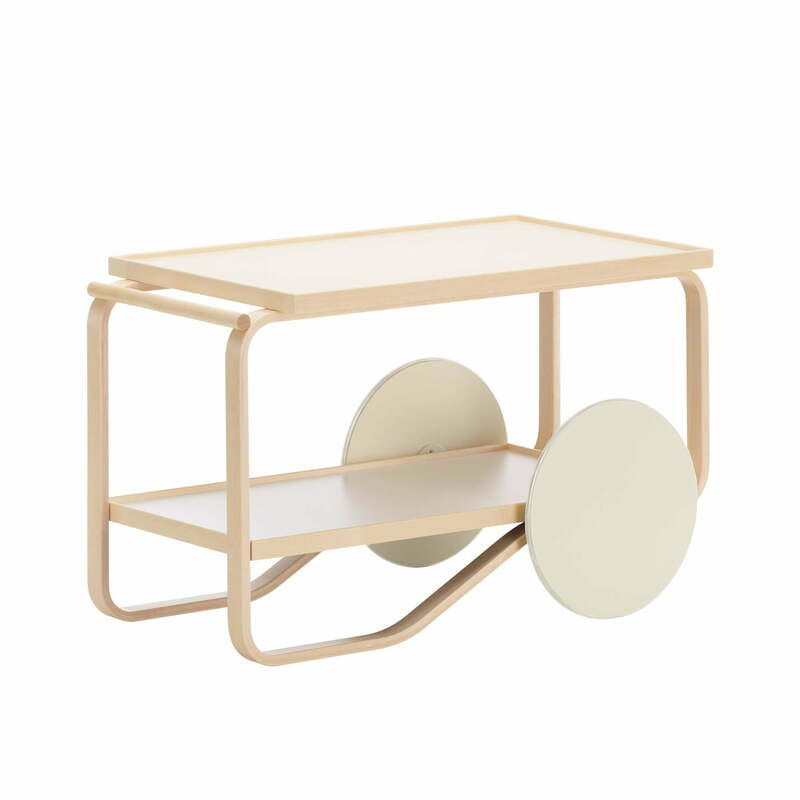 The 901 trolley by Artek teams up with the 41 Paimio armchair in white and the chairs 66 in white. The Finnish designer Alvar Aalto ranks among the greatest names of modern architecture and modern design.